"... Anything that happened over there [in the Inner Sphere] never happened here." 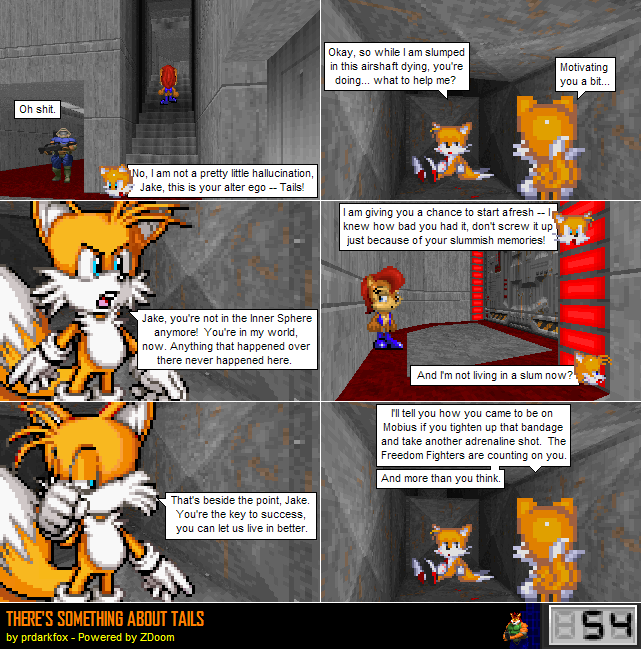 (Panel 3) While one would immediately argue that this is another plothole when you read on, Tails is lying to him to try to inspire him. He doesn't exactly want to die so quickly.